Miami is known for its sun-kissed beaches, creative cuisine, architectural gems, a burgeoning arts scene, and an electric nightlife. But almost nothing rivals the city’s vibrant nightlife scene where swanky candlelit lounges, rooftop bars, salsa-filled dance halls, and trendy, celebrity-filled nightclubs all have their place. Below are 25 of the most incredible nightclubs in Miami, Florida. E11EVEN MIAMI is an award-winning nightclub located in the heart of downtown, Miami just minutes away from iconic South Beach. The only 24/7 Ultraclub in the world, E11EVEN encompasses luxury and sophistication with its over-the-top design boasting state-of-the-art sound and lighting. This includes the newest sound system from Funktion-One Resolution and 600 square feet of LED video walls as well as intelligent lighting. This creates the perfect backdrop for their elaborate cirque-de-solei style theatrical performances with aerialists, contortionists, choreographed go-go dancers, and interactive side characters donning elaborate costumes while they perform. This social playground is also known for live performances from famous artists and DJs including Drake, usher, Steve Aoki, and Skrillex. Ball & Chain is located in the heart of Little Havana along legendary Calle Ocho. Originally established in 1935, Ball & Chain has a rich and colorful history as a popular late-night spot for jazz music legends Billie Holiday, Louie Armstrong, Chet Baker, and Count Basie. Today, local crooners like Brendon O’Hara and bands like Spam Allstars perform regularly on the club’s infamous Pineapple Stage. They have an excellent bar program created by premier mixologists from the Regent Cocktail Club. 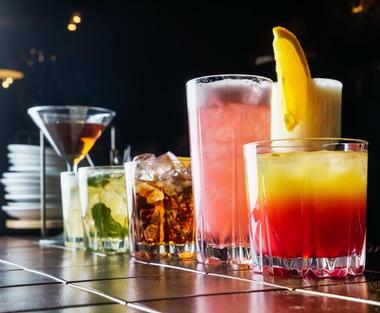 It includes a collection of classics such as mojitos and margaritas as well as a selection of new-wave cocktails like the Canita, made with white rum, house-made honey syrup, lime, guarapo, and a sugarcane stick. Since its opening in 1998, Nikki Beach Miami Beach (NBMB) has firmed its position as a South Beach landmark. Located on an expansive oceanfront complex it features an award-winning restaurant, a garden area cafe, a cabana bar, a beach club, and a second-level nightclub. Celebrities, jetsetters, and local Miamians flock to Nikki Beach to lounge on luxurious day beds while soaking up the sun and enjoying a gourmet lunch with creative cocktails. Innovative sushi rolls, slow-roasted rotisserie chicken, and freshly caught seafood are just a few of the delectable menu items. At night, premier DJs spin the hottest hits while guests dance in the sand at the beach club or up in the second level disco lounge. Mango’s Tropical Café is a world renowned food and entertainment venue located along legendary, Ocean Drive. For nearly three decades Mango has been providing incredible Latin and Caribbean inspired cuisine, tantalizing signature cocktails, and outstanding live performances. Each night the live band and world famous Mango Dancers take guests on a journey through the Caribbean showcasing a wide variety of dance styles from Pop and Reggae to Bachata and Salsa. Guests can visit Mango’s for dinner and a show or to dance the night away at their nightly parties in the Vodou Room, Jungle Room, and Mojito Room. Each provides its own unique atmosphere and style of music. Located on the iconic Washington Avenue, Rockwell Miami is the perfect blend of New York music, L.A. coolness, and Miami energy. The original home of South Beach hot spots like Chaos and Les Bains, Rockwell’s reimagining of the space pays homage to Miami’s rich nightlife history. An incredibly unique space, design features include state-of-the-art sound and lighting, oversized dark leather couches, walls adorned with Avant Gallery artwork, and antique mirrors. A rendition of da Vinci’s Vitruvian Man and a crazy lotus-esque ceiling light display are just a few of its one-of-a-kind upscale features. Rockwell is often frequented by celebrities including Leonardo DiCaprio, LeBron James, Lenny Kravitz, P. Diddy, Dwayne Wade, and Gabriele Union. BLUME Nightclub is an upscale nightclub located in Miami’s vibrant, urban Brickell neighborhood. Constructed by Linus Design, a luxury architecture and design firm, BLUME boasts an enchanting interior reminiscent of a formal Garden Room with a psychedelic twist. This is done with embellished floral and tropical motifs layered with traditional wood finishes, a theatrical 16-foot LED chandelier suspended above the expansive dance floor, and diamond-shaped LED wood panels. 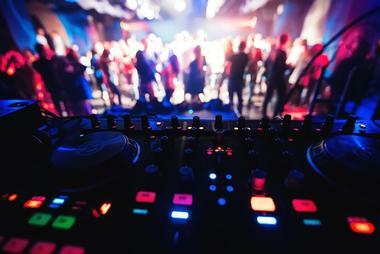 The nightclub features only the very best in live music entertainment from house to rap. When patrons need to escape the high-energy of the club, they can head outside to the Garden Bar Terrace for a breath of fresh air in a relaxed setting. Open since 2002, Club Boi is the only black-owned nightclub in South Miami. For more than a decade they’ve served as the staple of the urban gay nightlife scene. Club Boi at Score provides an atmosphere of gritty sexiness with a vibrant Caribbean flair creating a provocative yet safe space highlighted by a friendly staff, seductive strippers, and an energetic but eclectic mix of music. Resident DJs Gavin and Dias spin some of the best Reggae, Hip Hop, R&B, Latin, Old School, and House beats in the city. The club hosts several themed party nights throughout the year including Carnival, Full Moon Rising, Splash, Lingerie, and Mardi Gras. 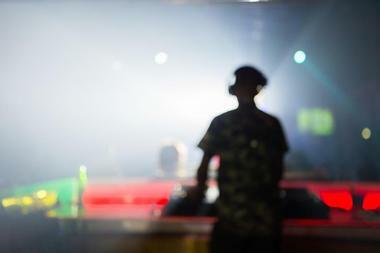 Open for nearly two decades, Club Space is a local fixture in the heart of Miami. 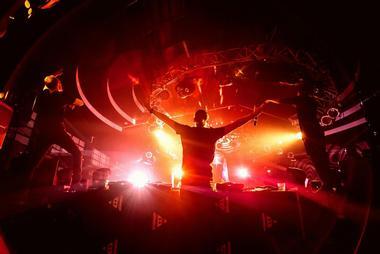 Designed in the image Ibiza’s iconic nightlife scene, this 24/7 club is the go-to venue for electronic dance music. They feature an incredible lineup of resident and guest DJs, this includes Paul Van Dyk, Loco Dice, Marco Carola, and Mark Knight. The club also just recently added a live music venue on its ground floor known simply as The Ground. It can accommodate up to 600 music lovers and has already seen incredible performances from hosts like SZA, HVOB, and Front 242. There is also a 200-person capacity cocktail bar in the adjacent Libertine, a dark-room club area, and the legendary Space Terrace. Do Not Sit on the Furniture is a revolutionary music movement devoted to injecting culture, life and meaning into the underground music scene in the city of Miami and abroad. 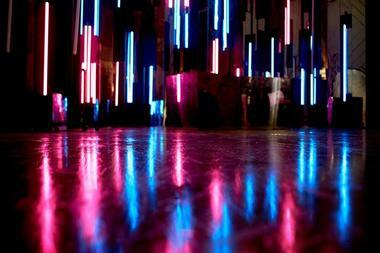 A one-of-a-kind nightclub, they provide a sophisticated and intimate atmosphere that comfortably fits up to 130 people. While the name says Do Not Sit on the Furniture, it’s not actually enforced. The club is mostly standing room only, however there are plush booths along some of the interior walls and the attached outdoor patio with seating. Do No Sit on the Furniture has a reasonable cover charge and dress code allowing guests to enjoy the best DJs in Miami and around the world without breaking the bank. Electric Pickle is an entertainment and music venue nestled in the heart of the Wynwood Arts District. With 3,500 square feet of space, Electric can accommodate up to 300 in its two indoor music rooms and outdoor patio. It boasts a custom Dynacord sound system and state-of-the-art lighting including a massive retro-chic LED light fixture situated above the main dance floor. There is also a live stage area and DJ booth. Electric Pickle has an intimate atmosphere geared towards astute music lovers, it was designed to encourage cross cultural exploration and creative expression. 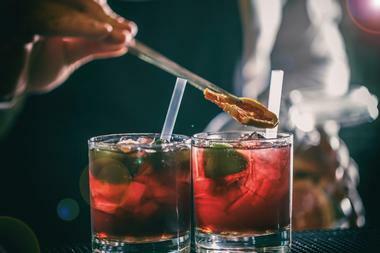 A premier boutique-style nightclub, they provide an extensive list of craft cocktails to enhance the experience such as the Bacon Bourbon Old Fashioned. Hoy Como Ayer is a hidden gem nestled in the heart of Little Havana. A nostalgic salsa joint, this quaint nightclub features live music nightly from a rotating list of Cuban and Latin funk bands. Every night at Hoy Como Ayer is an over-the-top fiesta where the conga drums are always thrumming, the dancing never ends, and the Bacardi never stops flowing. Live performances include everyone from Grammy award-winner Amaury Gutierrez to the SPAM Allstars, an electronic mescal band. They also offer a small menu of Cuban-inspited small plates like their legendary Son - Burrata cheese, arugula, and tomatoes. Known for redefining the nightlife experience, LIV at Fountainbleau features more than 18,000 square feet of remarkable architecture, vibrant lighting, soaring ceilings, and an iconic dome. After its complete renovation by ICrave, a renowned experimental design firm, the space was transformed into an immersive nightclub experience. 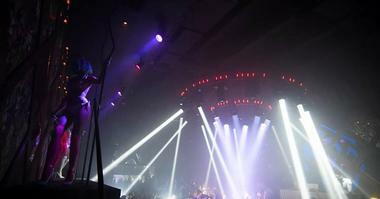 Some of its features include a towering projection-mapped stage area, the ceiling “Spider” boasting over 400 individual screens, state-of-the-art sound and lighting, and a main floor stage and balcony which can accommodate up to 1,000 people. 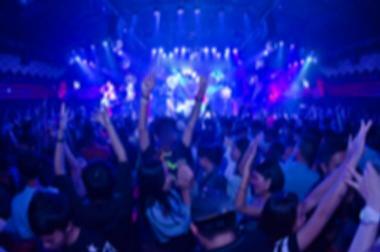 An epicenter for glamour, style, and fame it also features four full-service bars, a fully equipped DJ booth, exclusive valet service, and a private VIP entrance. Mynt Ultralounge is an exclusive nightclub located in South Beach. Boasting 6,000 square feet of space Mynt is known for its swanky guest list with celebrities like Lindsey Lohan, Paris Hilton, Colin Farrell, and Sean Penn. For those who manage to make it past the red velvet ropes a front room draped in colors of mint green and egg white greets them. Beyond that they’ll find a Grand Lounge that provides a walkway between the expansive bar and an encirclement of plush, oversized couches. There is an Ultra Lounge beyond that marked by gorgeous marble floors and an abundance of cool hanging mirrors. With a motto like No Attitude, No Cover, and No Bulls**t, the Purdy Lounge offers guests an understated party atmosphere that welcomes everyone. There are only two rules when it comes to dress code, no tank tops and no athletic wear. Open until 5am every night of the week, this quaint nightclub features a small lounge with a main stage that lights up different colors. The space has a full bar and a few cozy couches lining the wall. DJs in this area spin hits from the 80s, 90s, 2000s, and today. There is also a small back room known for being a little wilder. DJs back here spin the latest hip hop, rap, reggaton, and Caribbean music. Situated in the heart of South Beach, Repour Bar is a unique cocktail lounge owned by husband and wife duo, April and Isaac Grillo. Housed in the lobby of the Albion Hotel, Repour features a cozy indoor bar and a spacious outdoor courtyard. A dream realized for Isaac, Repour was a labor of love that wouldn’t have been possible without the aid of his friends and family, especially his grandfather. 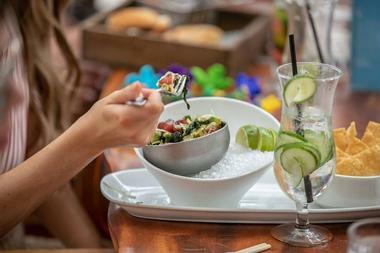 He pays homage to his fantastic family through the bars decor, creative cocktail menu, and unpretentious atmosphere. Here, everyone is treated like family, and encouraged to relax into one of their plush, oversized couches, while they sip a cold tea cocktails served in his mother’s best china. Salsa Mia at Mango’s is ranked number one in Miami nightlife by review sites. 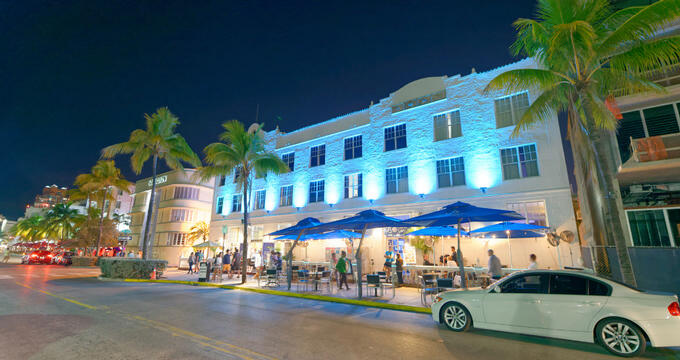 Other than it’s prime location along iconic Ocean Drive, their vibrant live performances set this club apart from its competitors. Guests can expect cabaret shows, salsa, bachata, samba, conga, belly dancing, and more. The upstairs Mojito Room features bronze palm trees, vibrant lighting, Cuban artwork, comfy sofas, and a tropical themed bar. Guests can learn and practice their dance moves here while imbibing an array of signature Mojitos. There is a Happy Hour mixer that begins at 7:30 where guests can dine and indulge in a few half-price drinks. SHOTS Miami is inspired by the unique cultural and artistic vibe of its host city, Miami. 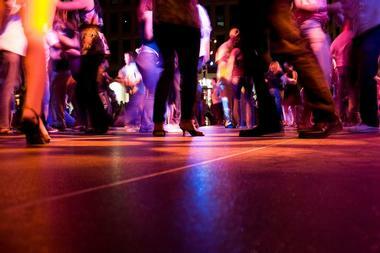 This lively dance club is popular for its shots, of course, but also its amazing DJs, and its weekend food trucks. 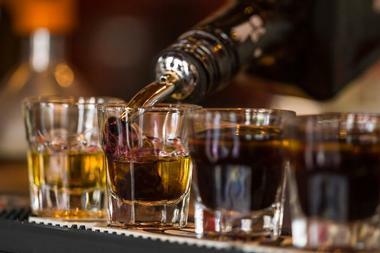 SHOTS is for the sophisticated partier who enjoys an upscale, yet laidback, good time. Dress is anywhere from dressed to the nines to casual chic. Fun is the name of the game here where props figure significantly into the party, where guests can “get into character.” The club hosts holiday bashes where guests are encouraged to show up in their own props too. Their full menu of shots from the Kit Kat to Gasolina is amazing. 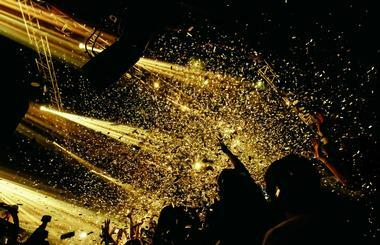 STORY Nightclub features a mix of hip hop and electronic dance music for guests to dance the night away. 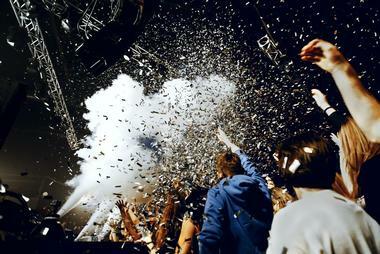 Partiers will find world class acts like Swedish DJ AN21 and American rapper and producer Wale. 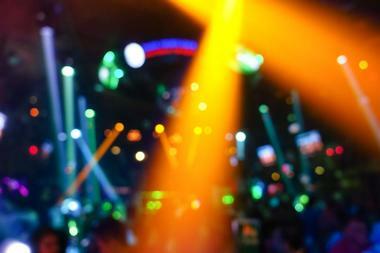 The club is 27,000 square feet of high energy nightlife backed by state-of-the-art sound, lighting, and visuals. Guests will be enthralled with exclusive VIP tables numbering over 60, as well as five bars offering full service. The circus-style ambience is the perfect backdrop for their premium bottle service. There is no guest list at STORY, and cover charges depend upon the act of the night. Basement is a multidimensional entertainment complex featuring a nightclub, ice skating rink, and a bowling alley. Each are outfitted with a state-of-the-art sound system as well as projection effects and dramatic lighting created by Patrick Woodroffe; a world-renowned lighting designer whose worked with the likes of Michael Jackson and Beyonce. 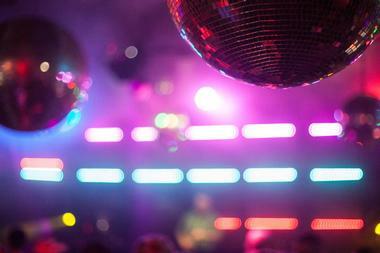 Basement Miami is a cutting edge mini club with a Studio 54 and performances by world-class DJs. Basement Bowl is situated adjacent to the nightclub and features a glow-in-the-dark atmosphere highlighted by LED screen displays, luminescent bowling balls, and dramatic lighting effects. Basement Skate is a 2,000-square-foot rink boasting a winter-wonderland with an ever-changing light show and a pulsating beat. 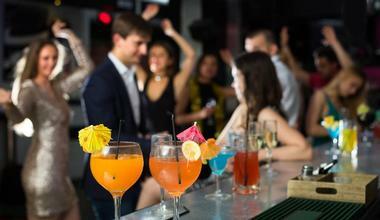 Blackbird Ordinary is a casually sophisticated neighborhood bar in the bustling Miami neighborhood of Brickell. 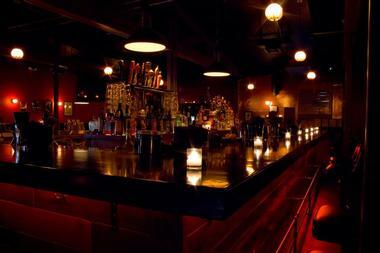 It boasts concrete floors, gorgeous, oversized, black leather booths, and a large wood paneled, black marble topped bar. A mural of flying blackbirds, red-painted walls, and subdued lighting create a romantic mysticism while a black felt pool table, corner DJ booth, and large plasma television encourage collective enjoyment. They specialize in premium hand-crafted cocktails that utilize only fresh, local ingredients and provide a diverse selection of name brand and craft beer. Blackbird Ordinary also provides a small menu of snacks, wood-fired sandwiches, and made-to-order personalized pizzas to pair with their beverage selections. Stepping into The Regent Cocktail Club in Miami is like stepping into a 1940s movie. The art deco nightclub, located in the Regent Hotel in Gale South Beach, has a New York City jazz club ambience. The elegant venue has latticed wood ceilings, dark wood walls, and large tufted leather group seating for comfortably enjoying an array of craft cocktails. 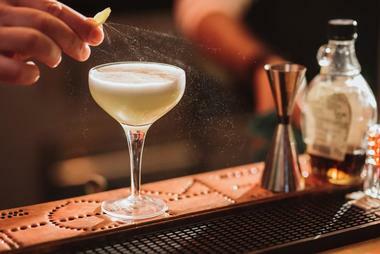 A dramatic marble bar sets the stage for professional mixologists that dazzle. Expansive windows overlook beautifully landscaped grounds. Mixologists can create cocktails from every era, but specialize in Manhattans and Negronis. Guests can listen to live jazz inside, or step out onto the patio to enjoy a cigar. If it’s a trendy 7,500-square-foot nightclub with an underground influence guests are looking for, it can be found at Trade. State-of-the-art sound and light systems enhance the sophisticated and contemporary décor. 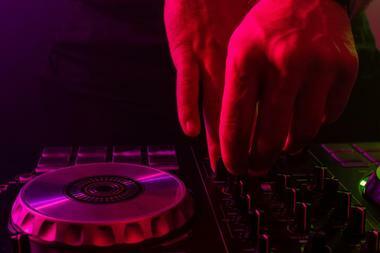 Guests should expect a variety of underground guest DJs playing electronic dance, techno, deep house, and minimalist music. This nightclub is all about the music. It has an expansive dance floor that’s regularly packed, and plenty of couches for those who need a moment. The venue has two levels. Although it’s casual chic, guests should dress to be let in, as busy nights mean turning away some customers. Treehouse Miami is a clubbing institution in Miami Beach. Ranked among the Top 100 Clubs in the world by DJ Mag, it’s located in a two-room house in Miami Beach with an interesting jungle inspired décor. The club has a contemporary vibe with textured block walls, dark wood flooring, and a dark concrete ceiling. Deep, brown leather couches and tables with lamps line either side of the dance floor. Guest DJs play techno and deep house music in this casual low-key nightclub. 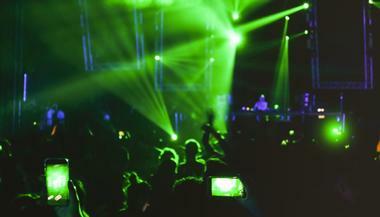 This is the perfect venue for electronic dance music, and it’s a longtime local favorite. 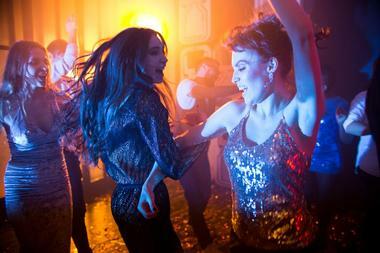 Open Friday through Sunday, music fans can come-as-you-are to join the all-night dance party. Twist is a mega dance club located in wildly popular South Beach. It has the distinction of being the longest running gay nightclub in Miami. 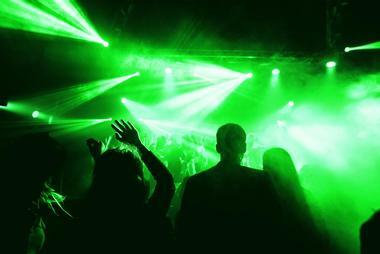 With a mantra like “Never a cover – Always a groove,” late night revelers can’t go wrong at this popular venue that never has a cover charge. 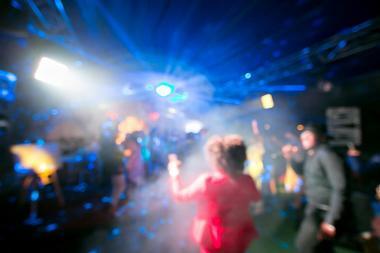 Guests can expect professional dancers, exceptional bartenders, and world class DJs. Two entertainment levels, three dance floors, seven bars, and outdoor space too make for a trendy good time. There are nightly drink specials at the seven bars offering different experiences without ever leaving Twist. Though dress is casual, or at least sans a formal dress code, they do have themed nights where those showing up in related dress can vie for a $100 bar tab. This exclusive Miami Beach nightclub is presented by the same owners as the swanky, celebrity favorite, Mynt. Located in the W Hotel, the exclusivity of Wall Lounge means a hideaway for those who pass through the velvet ropes. Décor is infused with an edgy, yet glamorous, gold and black design. A central DJ booth, soaring ceilings, dramatic lighting, and an epic back bar set the stage for high-end fun. 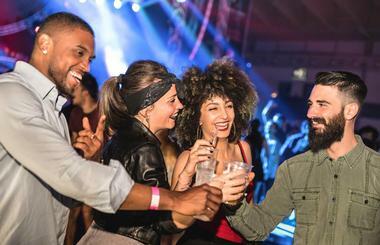 This is the place to be for celebrity-watchers and elite partiers. Guests can expect upscale bottle service and an extensive list of champagnes. Guests of the W Hotel typically get free admission.